I think the comparison between the X4 and Macan is moot; the only reason they're being compared is due to their similar size and release dates. 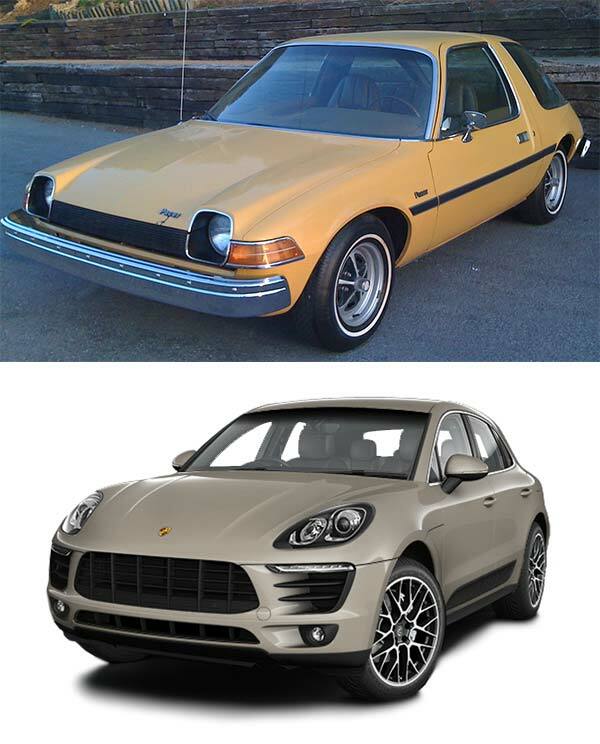 The Macan is $5,000–10,000 more expensive to buy, more expensive to own over the long run (X4 35i's ~19/26 MPG* vs. Macan S's 17/23 MPG) and more expensive to maintain (Porsche parts and labor). *Edit: X4 is actually one better at 19/27 MPG according to the EPA sticker. Last edited by Yocal; 07-02-2014 at 12:58 PM. Steering feel I would probably agree with you on because Porsche is so good about that, but when you said the handling is better than any BMW except the new M3, I almost shat. I apologise if I offended you with the crack comment. That was immature of me to say. Great Pics, they reveal how ugly the X4 is. The new X5 and X6, they both look amazing, sharp and powerful. But lets face it, this thing looks like a weirdo, some sort of teenager son of the X6, I don't know..
Last edited by Manbnda; 07-02-2014 at 12:21 PM. Hahahaha, you're right, Rizz. I didn't even realize that. Oh mate I am sorry if it sounded agressive. just yanking ur chain. No worries. But yeah I meant steering feel, handling is something else. But I do stand by my words. the porcher is really good. I wouldnt call it an SUV on account of its size but for a 4wd "thing" nothing betters it in the road right now. I havent driving an X4 yet but taking my X3 its is in another league. By definition, the 5 Series GT and Audi Allroad are SUV's as well, and they have no where near as bad of a gap. Nice car, but I can't stand the new kidney design, specifically the grey slats. Hides the kidney shape. The should have been black. Just check the 3rd pic in the OP with the X1 next to it. SUV, sedan, coupe?... Sorry it's just as ugly, pretentious and pointless as the X6 and will most likely be as ridiculed here in Europe. Let's all be mindful of the environment and go buy ourselves Priuses — equally capable of getting us from point A to B. Who needs pointless "luxury" vehicles. Then test the macan and you will know the answer....Handling/steering beats any bmw except MAYBE new m3 but close. Did you knows guys that the M3/M4 steering system is coming from ... The X3 F25 35i???? Of course it has been adapted to the M3/M4. But the system has been first introduced on the X3 35i (in my point of view it works very well), an now it equips the M3/M4 with some changes in its software. The X4 share the same system too. Let's all be mindful of the environment and go buy ourselves Priuses — equally capable of getting us from point A to B. Once I heard on radio, that they compared the Prius to the Hummer in terms of Ecofriendly. If you consider the whole life cycle of the car (building it - driving it - end of life of the car and re-use parts), the Hummer is far more Ecofriendly than the Prius, Which is a piece of S..T in terms of Eco-friendly. Hopefully Marketing won't tell you that.